So, the time has come to update you on my trial of the Eau Thermale Avène Tolérance EXTRÊME range. Well first things first, I wanted to share that the ‘official’ trial was one full week dedicated to just the Eau Thermale Avène Tolérance EXTRÊME range exclusively (with the exception of adding SPF). Then the trial was to continue with three weeks using the products as core parts of my routine – but I was allowed to introduce other products alongside the core Avène Tolérance EXTRÊME ones that were part of the trial, should I want to. I mention this as I think it’s important to be transparent about the trial length when it comes to skincare. It really is one of those things in beauty that can’t be ‘reviewed’ after a day of use. Sure, you can preview or share first impressions, but a full review takes time and the results will rarely be seen until a few weeks in at least. Which is why with this trial, I chose to stick with the Eau Thermale Avène Tolérance EXTRÊME range for the full time as my core daily products. I did add a couple of other products I felt I ‘missed’ – mainly out of habit rather than need. So will talk about these shortly. The other thing that I think speaks volumes on how much I have gotten along with the products is that I am still using my two core favourites as my daily choices. Plus another Eau Thermale Avène product I added in as one of the additions and love. Firstly, let’s recap a little on the Eau Thermale Avène Tolérance EXTRÊME range and what it’s all about. In case you missed my first post of the trial, you can read that here. 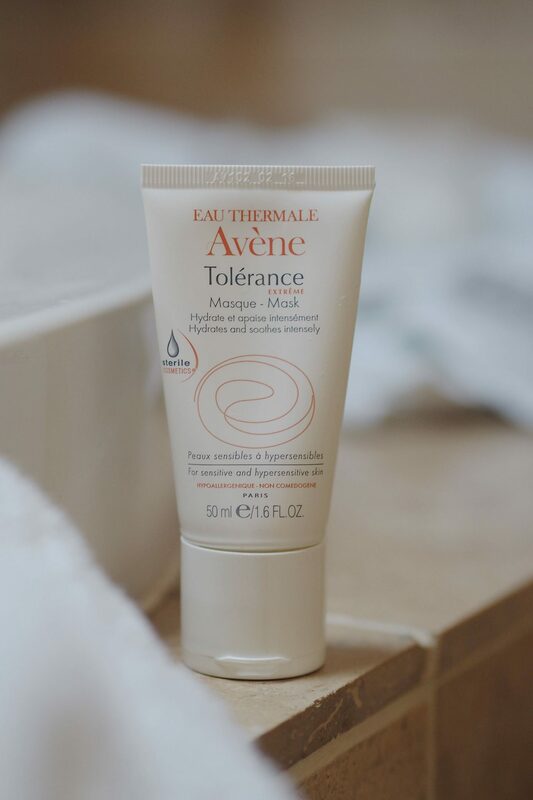 But as a reminder – Eau Thermale Avène is a brand that truly specialises in making skincare for those who have very sensitive skin. 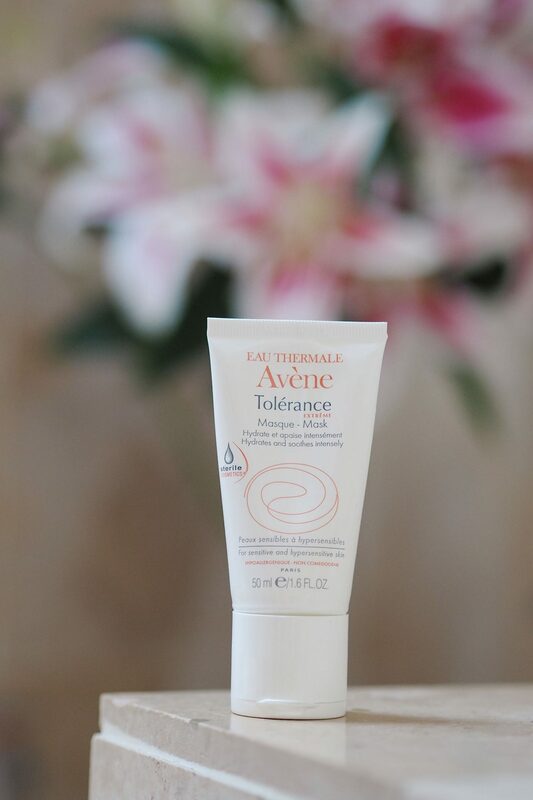 Especially it’s core range of theEau Thermale Avène Tolérance EXTRÊME range. Which is the focus of this review. Always designed with a minimal amount of ingredients, to keep things as simple and pared back as possible. To make reactions and irritation as unlikely as possible as it eliminates any ingredients that are unnecessary and don’t serve a direct function to benefit skin. The products in the Eau Thermale Avène Tolérance EXTRÊME range have all been newly stripped back to basics with just SEVEN key ingredients. Each serving a skin-loving benefit and packaged in some very clever packaging that keeps the product from being exposed to air, so it’s preserved without the need to add artificial product preservative ingredients into the mix too. I have two top picks from this selection that are the products I am still using now the ‘official’ trial period is over and can’t see this stopping any time soon. The Eau Thermale Avène Tolérance EXTRÊME Cleansing Lotion and the Eau Thermale Avène Tolérance EXTRÊME Cream (rich texture). I hopped between the Cream and the Emulsion for a while but settled on the cream because I prefer the texture overall and find I don’t use quite as much when in this formula. I’ve also been enjoying the mask, but purely because it’s not so much of an every day product I’ve found it’s not one I reach for daily like the other two. I have however packed this away for a trip to the Caribbean as think it will be ideal for post-sun skin TLC with it’s hydrating and soothing benefits. 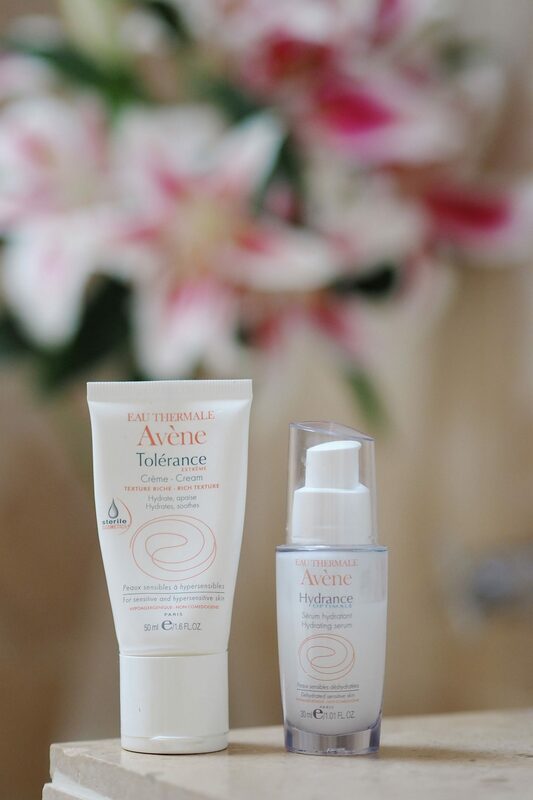 Taking my skincare back to basics with the Eau Thermale Avène Tolérance EXTRÊME range has had a much bigger impact than I probably anticipated. I’ve not only kept my skincare back on a more minimal routine, but I’ve also found myself gravitating towards a more minimal make-up approach too. With the biggest impact being how I’ve been so happy with my skin that I’ve been skipping foundation all together at any given opportunity. For example, mid-trial I posted the photo below – it’s not a common thing for me to be BOTH happy enough to skip foundation AND take a selfie to post on instagram. Which says a lot about how well the Avène range has worked for me – if I’m happy enough to skip foundation then what more can I ask for. I would 100% recommend two things as a result of doing this trial with Eau Thermale Avène. ONE – regardless of having sensitive skin or not, this range is an ideal all rounder. I don’t think there’s anyone who wouldn’t benefit from a range with essential ingredients. TWO – there’s a lot to be said for taking beauty on all fronts back to basics. It’s a great way to sort of ‘reset’ your routine and make sure you’re just using what really works for you and feels necessary. Sort of like a wardrobe clear out, same applies for skin – it’s a great way to really refine things and make sure you’re not using things out of habit that don’t really work for you. 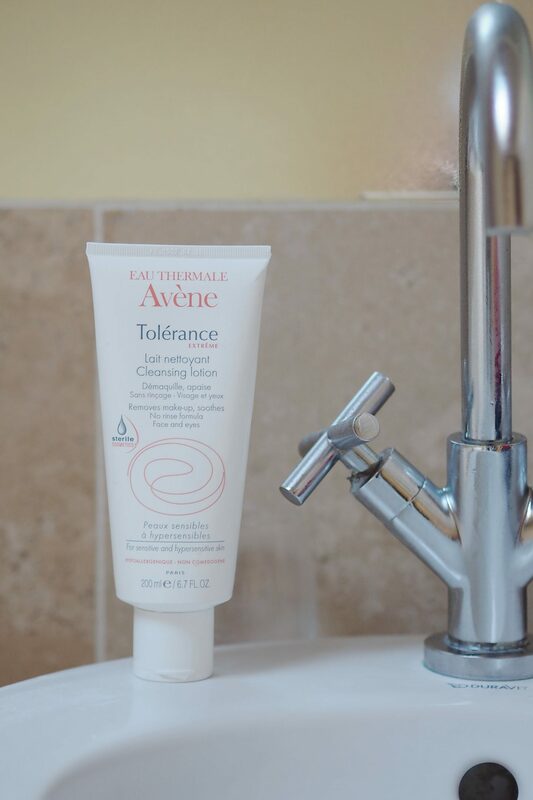 On a final note, one of the few products I did add into the routine through the trial was actually another Avene product. Not part of the trial at all, but just happened to be a new launch that landed on my desk and sounded right up my street so gave it a whirl and now sticking with it. Serum was one of those steps I felt I missed – mainly from routine as much as anything else. So I added in the Eau Thermale Avène Hydrance Optimale Serum. A light texture and lightweight hydrating boost meant it worked a treat if I wanted just a little extra – especially around my eye area that’s constantly dehydrated.